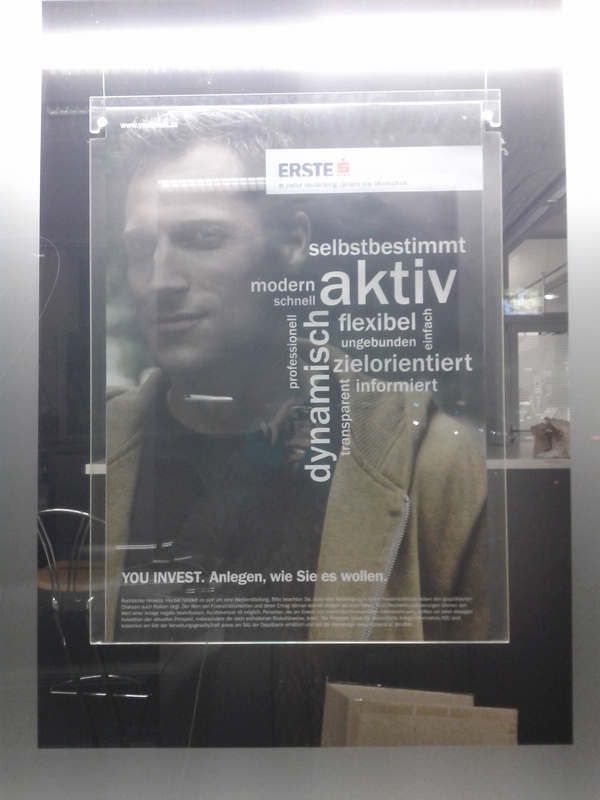 So in Erste Bank marketing’s eyes, women are solid, family friendly, uncomplicated, informed, calm, transparent, consistent, stable, professionell, simple, accessible, flexible and modern. And men? They are active, self-determined, modern, fast, professionell, dynamic, flexible, unattached, target oriented, informed, simple and transparent. Those are serious gender stereotypes that should not be used by one of the biggest commercial banks in Austria. I hope they reconsider their marketing strategies. P.S. Yes, I did take a closer look at that 2nd picture. Those extremely old-fashioned stereotypes seem not to be about how the person on the poster is, but what they want their investment fonds to be like. Still, those are stupid stereo types. I’m sure there are women who do like to experiment with new ways of investing their money in order to get a nice interest rate, just like I’m also sure there’s a lot of men who want to make sure their money is secure and will be available once they need it.